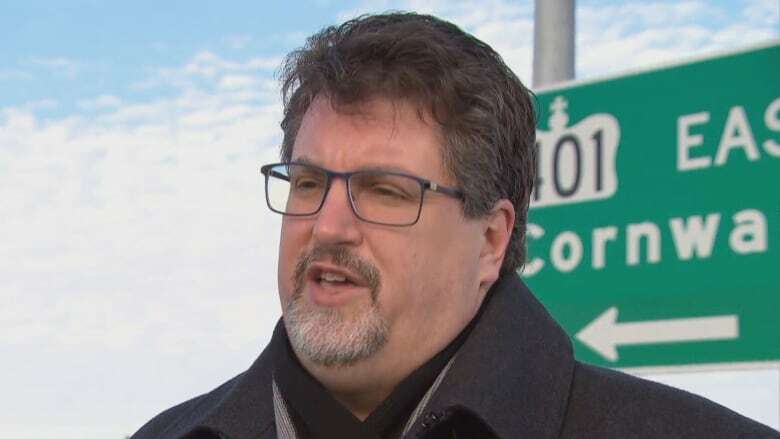 The mayor of Prescott, Ont., is praising a new truck stop along Highway 401 in eastern Ontario, but says there's still more to be done to improve safety on Highway 401. ​The provincial government opened a new rest area for commercial trucks in Gananoque, Ont., on Friday after consulting with the mayors of the United Counties of Leeds and Grenville — which includes Prescott. Prescott Mayor Brett Todd told CBC Radio's All In A Day the new rest area, with space for up to eight trucks, will be a better place for drivers who need to pull over during bad weather or mandated rest times. "I wish we could accommodate them, but the sad fact is we can't," he said. "We don't have the room for them." Prescott could see as many as 40 to 50 trucks at a time, Todd said, which can be disruptive to nearby residents or make it difficult to clear snow. "We have a lot of industry here based on trucking," he said. While Todd welcomed the new rest area, he said he would still like to see more truck stops along the 401. "We need more. I don't know if I could put a number to that," he said adding that he hopes private industry steps up. "I think there is some money to be made here." But one area that Todd believes the province needs to help out with is widening the 401. Todd has continuously called on the government to add more lanes to the section of the highway that runs through eastern Ontario. "The 401 is our economic lifeline and as we're seeing the truck traffic inch higher and higher every passing day … We're going to need to move to that three lanes sooner rather than later." Todd recognized that would be expensive, but said he has had positive conversations with Ontario's Minister of Transportation Jeff Yurek. "We think we've got a good partner in the government and I think the [new rest stop] is good evidence of that."